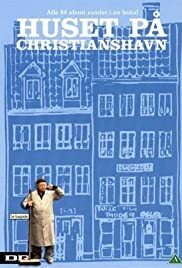 A comedy about the tenants of a small, old apartment building in Christianshavn, Copenhagen. This show benefits from its simplicity - take a broom, two beers and a bit of imagination, thats the recipe for this show. I my opinion the imagination runs out all too often in this show. There are 84 episodes, I think, they could have cut 2/3, then it would have been a really great show. The quality of each episode changes with the writer, but the geniuses make the watching worth while, the directing is generally good. The actors are just brilliant.